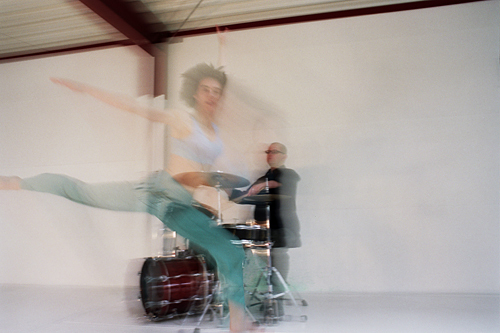 A structured improv with the virtuose Cologne jazzrock drummer Josef Kirschgen. The point is rhythmic interaction. A rich spectrum of music and dance reaching from reduction to the highly energetic, from fineline to wild. 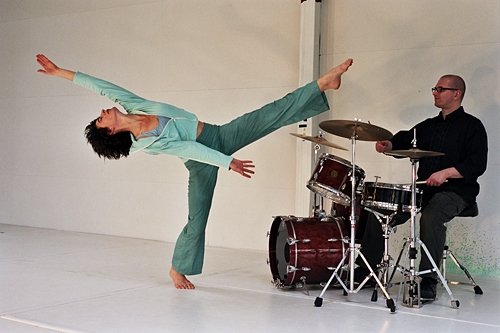 Expressive and humorous- pure dance and pure music.